Most property sewer lines have tree roots growing inside them. 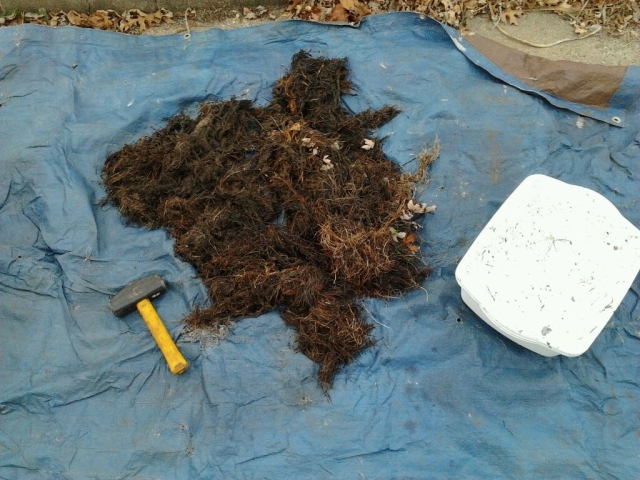 Each and every year tree roots need to be cleaned and trimmed to maintain your sewer line. To reduce serious problems and expenses clean your sewer line every spring or fall. Tree-roots grow all year round and don’t slow done due to cooler weather. Their are several reasons as to why sewer lines back up. For one tree roots grow yearly inside your sewer line. Sewer lines shift over time and dips and belly’s are created. Belly’s and dips are parts of your sewer line that hold water and debris. Debris building up in low spots cause sewer line to clog up. Cracked sewer lines or whole’s in your sewer lines cause animals and dirt to build up and plug your sewer line. Hiawatha Plumbing handles all plumbing and drain cleaning issues. Clogged sewer lines are serious issues and while your sewer line is clog no water in that property can be used. Main sewer lines that are clogged are considered emergencies and may cost more to open. Maintaining your sewer line and cleaning before it plugs up is always the way to go. Unclogging main sewer lines, floor drains, kitchen sinks, laundry tubs, bathroom sinks, bathtubs, showers, garage drains and much more.